My husband bought a catering trailer new and fully kitted out to his specifications. We have taken the unit out a handful of times but it really isn't working for him. Although I enjoyed working and cooking in the trailer, I have my own business and do not have the time to take over the running of the unit. Rather than sell, we would like to rent the unit out BUT I have absolutely no idea where to start...! Desperate for help please Dave - you are a book of knowledge and anything you can suggest would be greatly received and highly appreciated. Comments for New Trailer For Hire Business - What Do I Need To Know? There are a few people who do go down this route and choose to rent out their food vehicles. I’m afraid I DON’T have any specific advice for what is required to rent out a catering trailer, but a good place to start will be to take a look at the Hire Terms of other rental business. From here you will be able to understand what is needed to meet the conditions to safely rent out your vehicle. Take a look at the Hire Terms as a starting point and then build from there. You could even create JV (joint ventures) with related service suppliers that you could recommend to customers and earn a referral commission. These services could be: LPG Gas cylinders, insurance providers, LPG Engineers, equipment suppliers etc. 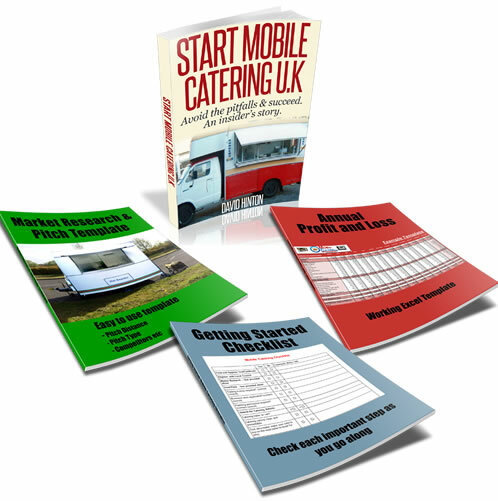 So rather than making an income from renting just the catering vehicle, you could top this up through recommending these others services. Hope this helps and do keep us updated.